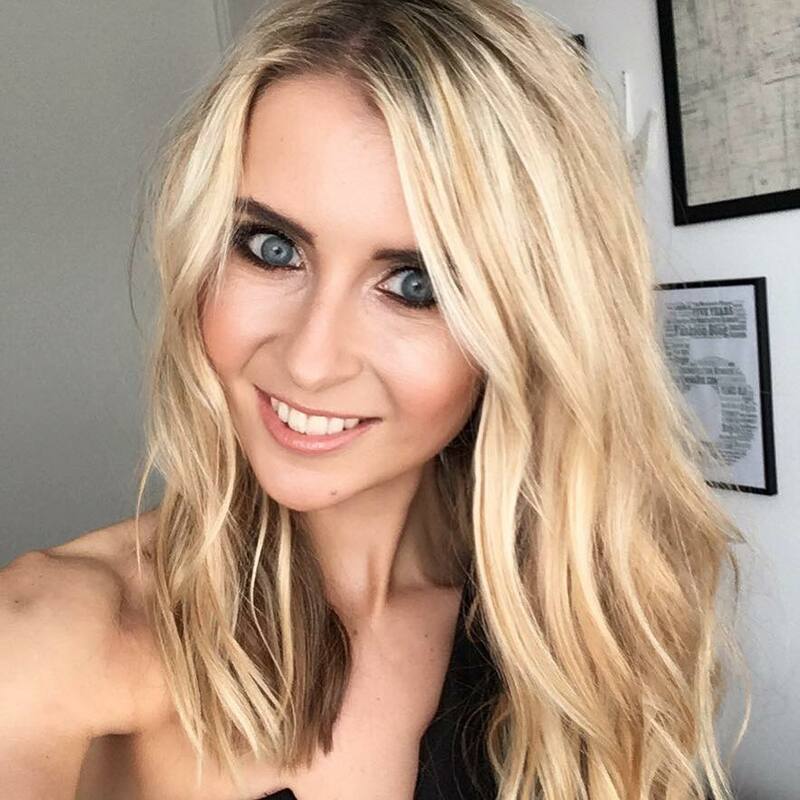 A few weeks back, I attended one of the nicest brunch dates I’ve ever been on. And this one was definitely a brunch with a difference. 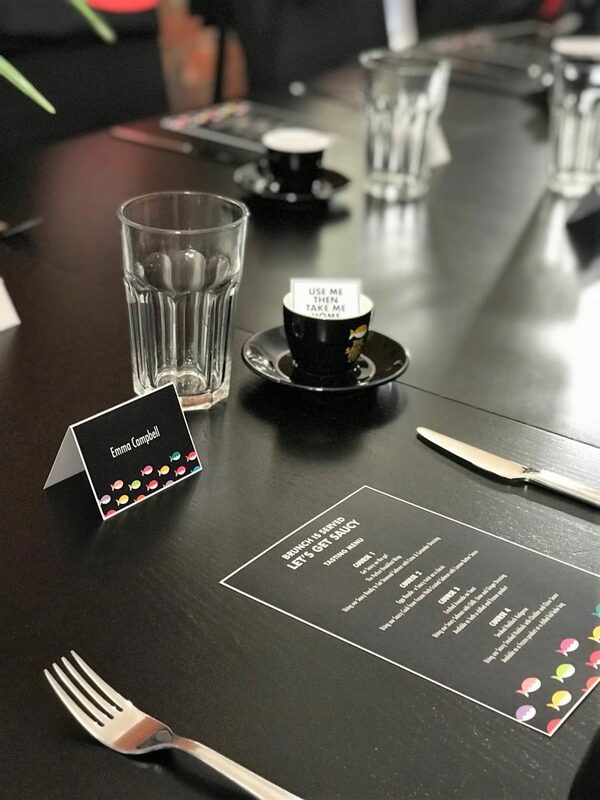 Hosted in Manchester by The Saucy Fish Co, myself and a handful of local food bloggers sat down to be treated to a range of brunch dishes, created using a range of delicious fish. The saucy chefs worked hard in the kitchen at the beautiful apartment we all gathered at, in the heart of the Northern Quarter. 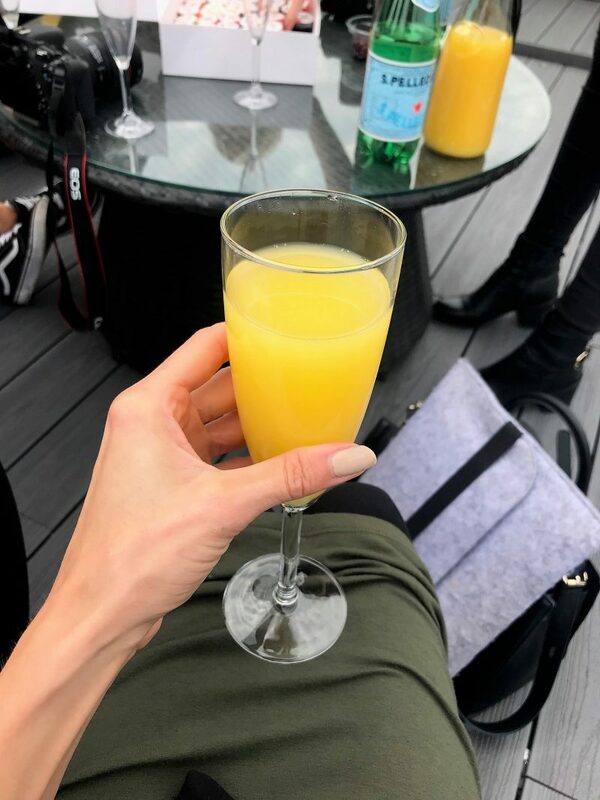 Whilst they cooked away, preparing the perfect pairing of fish and sauce to make so tasty treats, we started off on the rooftop terrace, with a brunch classic Bucks Fizz and a lot of food chat. 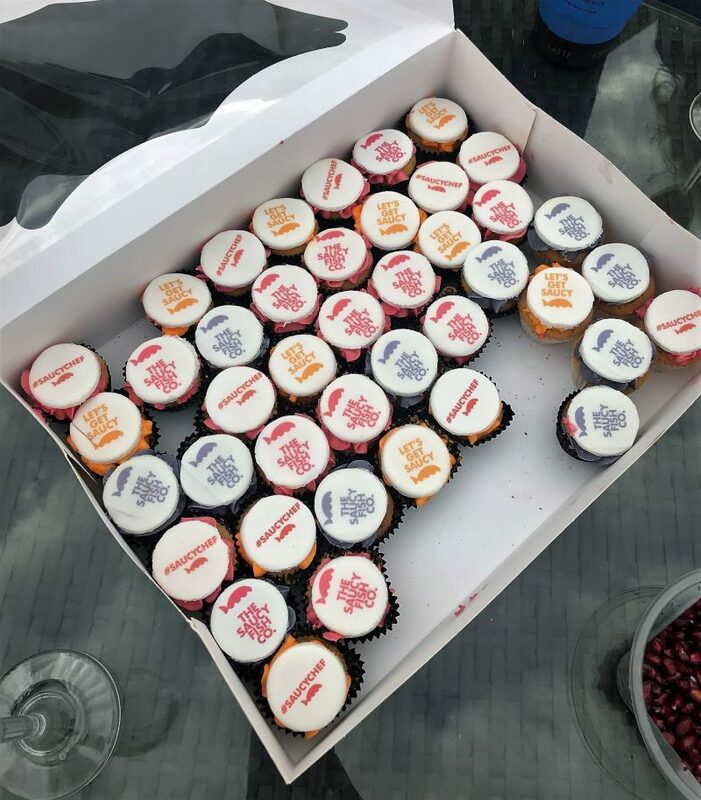 Before I get into the details of the brunch I attended, and then share with you an even more exciting bit (my own brunch I hosted at home! 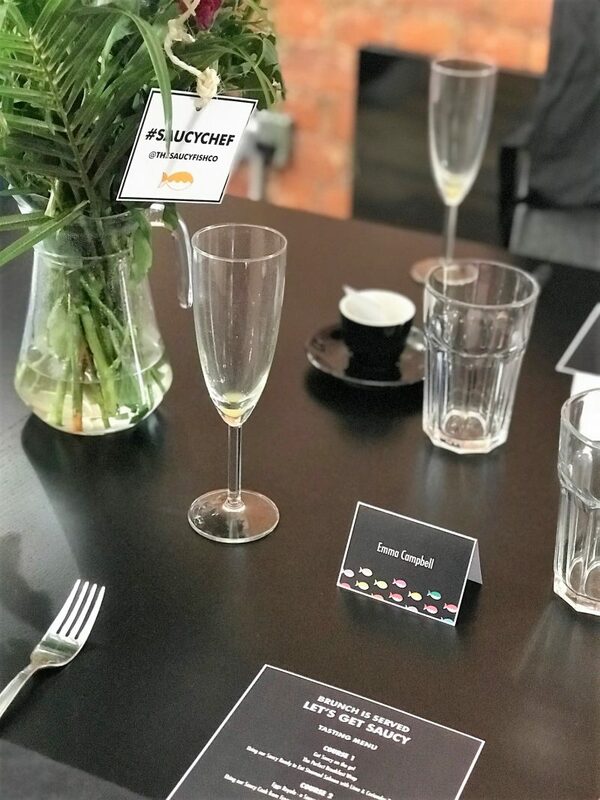 ),I wanted to share a few thoughts on The Saucy Fish Co. Basically, so you have a good understanding of who and what they are, because before the brunch, I had heard of the brand and knew they were a good quality brand of fish to cook at home, but that was pretty much all I was aware of. 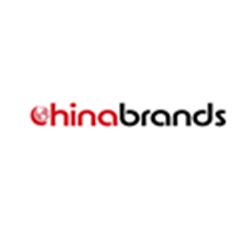 In a nutshell, they create ranges of fish that pair well with certain sauces that you can easily cook at home. In their words, it’s sauce and fish without the fuss, just fantastic flavour without the hard labour! Some people can assume it’s messy and fussy to cook with fish. 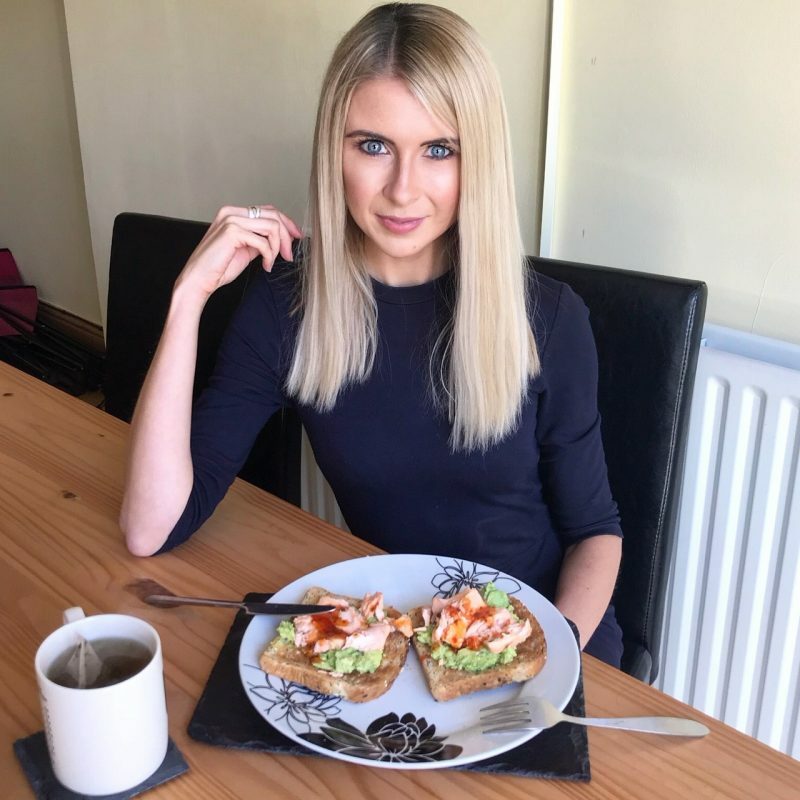 I didn’t think this too much, but I’m just a nightmare at letting fresh fish go out of date in my fridge, so I appreciate a good range of frozen fish which is easy to cook at home. 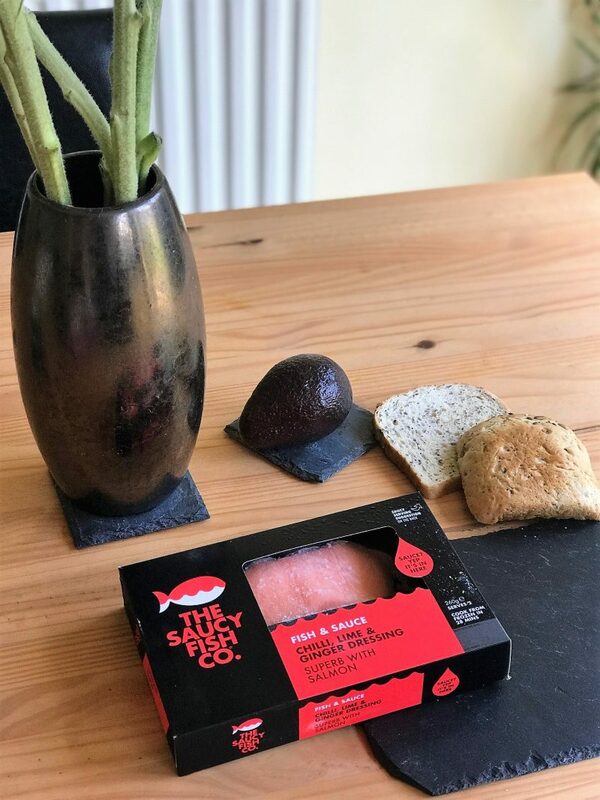 And it’s because of that, I’ve found a new go-to with The Saucy Fish Co.
They’ve taken their ‘fish minus the fuss’ revolution to the freezer aisle. You’ll find an array of fish and sauce pairings that can go from freezer to fork in less than half an hour. Saucy fish, just waiting to be cooked and enjoyed. For some seriously saucy fish dish inspiration, take a look also at the menu above. 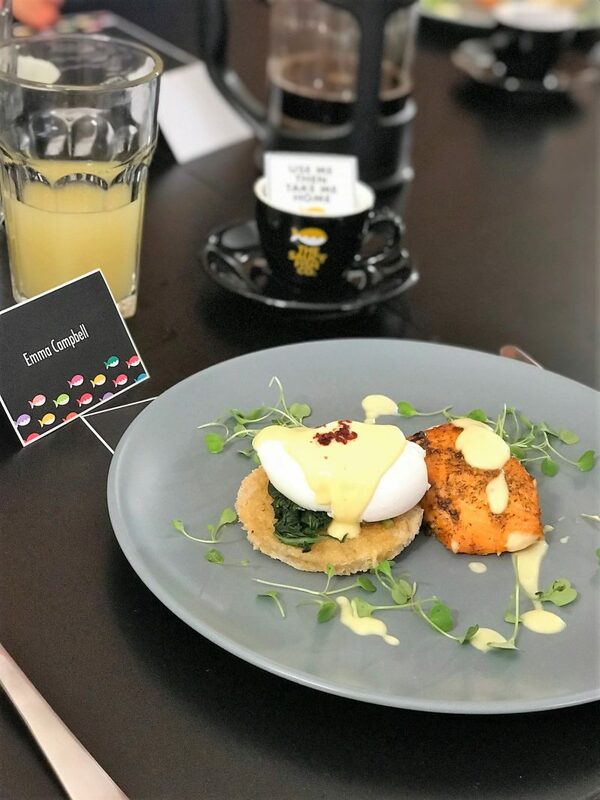 Each dish infused a Saucy Fish Co product with it’s own sauce, and a few additional brunch items to create a 4 course menu. 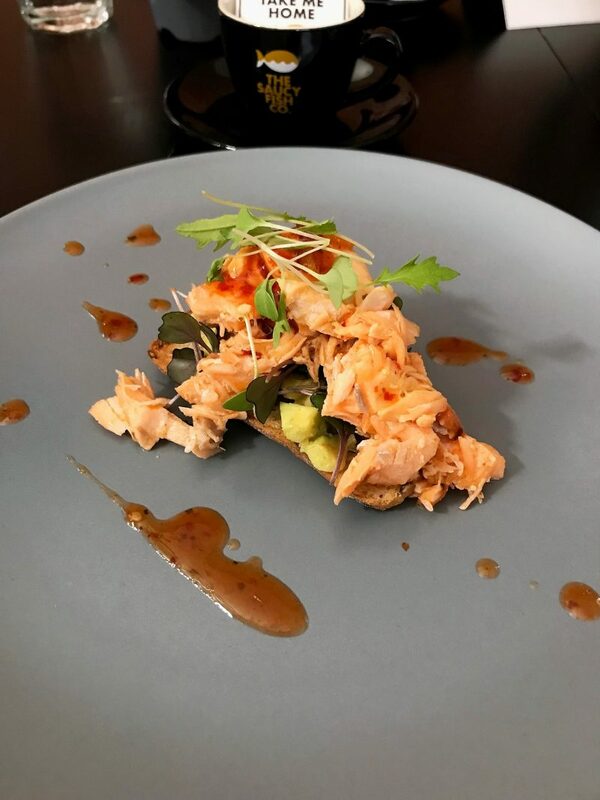 The first dish took a creative twist on a breakfast wrap, using the Saucy Ready To Eat Steamed Salmon with Lime & Coriander Dressing. 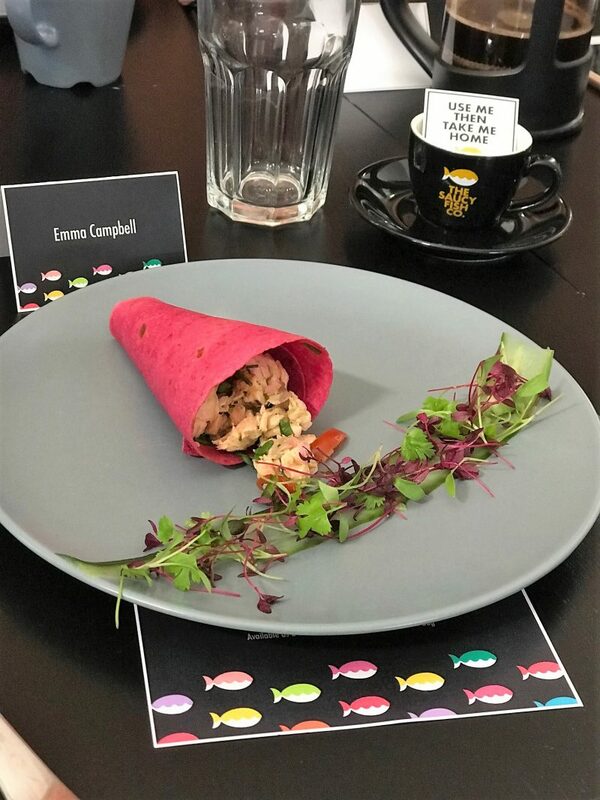 The wraps were gluten free and infused with beetroot – how pretty is this presentation? 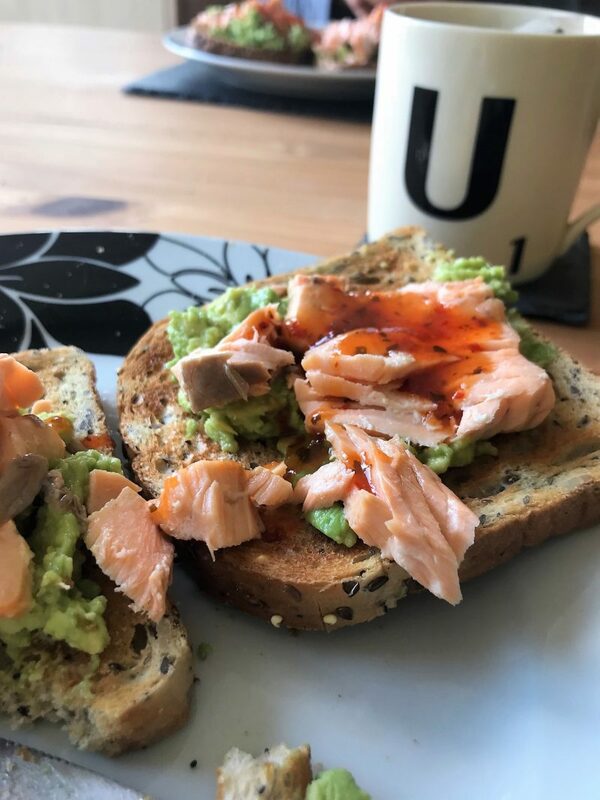 The Lime and Coriander gave this salmon starter a real kick and a unique, delicious taste. The second course also looked incredibly well laid out on the plate. In fact, every dish looked too good to eat! This one was a saucy twist on the classic Eggs Royal, and it was a creamier, saucier version in my opinion. 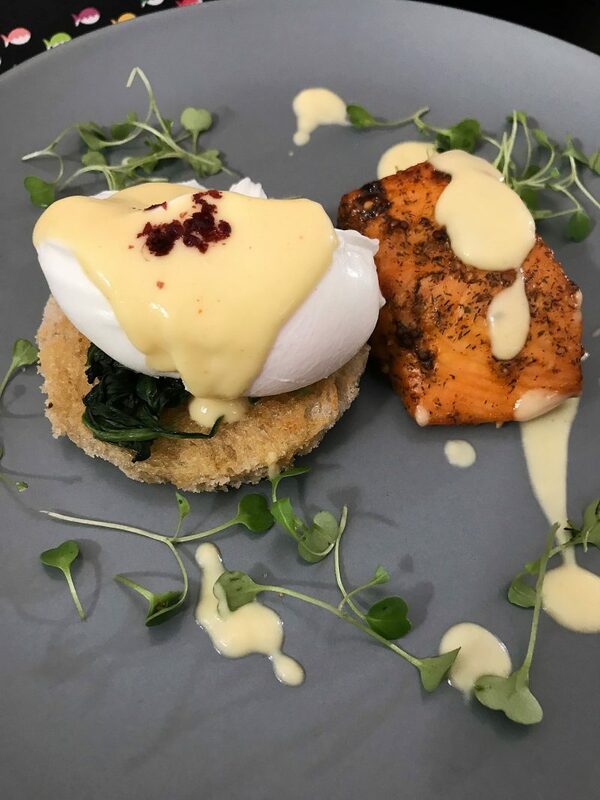 Saucy Cook from Frozen Herb Crusted Salmon with Lemon Butter Sauce was sat to the side of your poached eggs. where the sauce blended with when eating the salmon from the same forkful as the eggs! 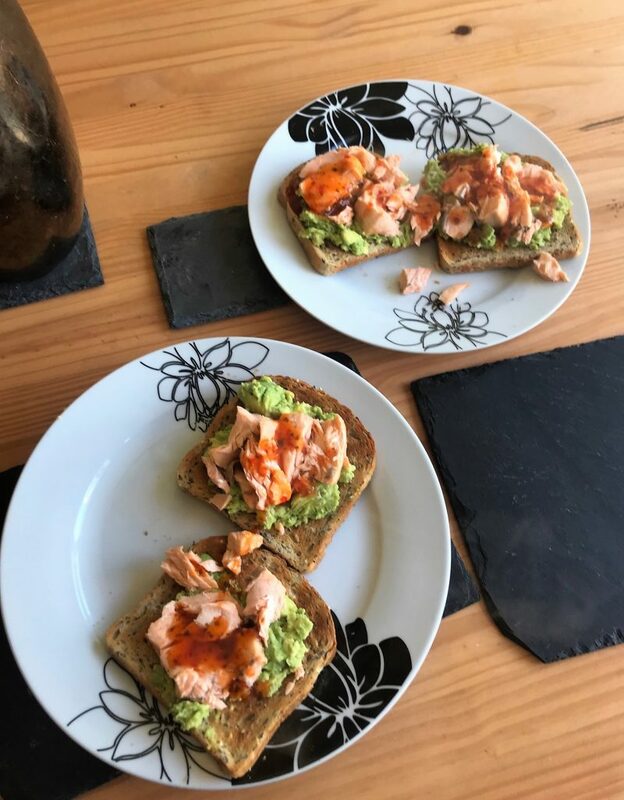 The third was a favourite of mine, where the cook from frozen Saucy Salmon with Chilli, Lime and Ginger dressing was perched on top of crushed avocado on toast. You can get this salmon either ready to eat or frozen. The reason I raved about this course so much is that the sauce is just a delight! 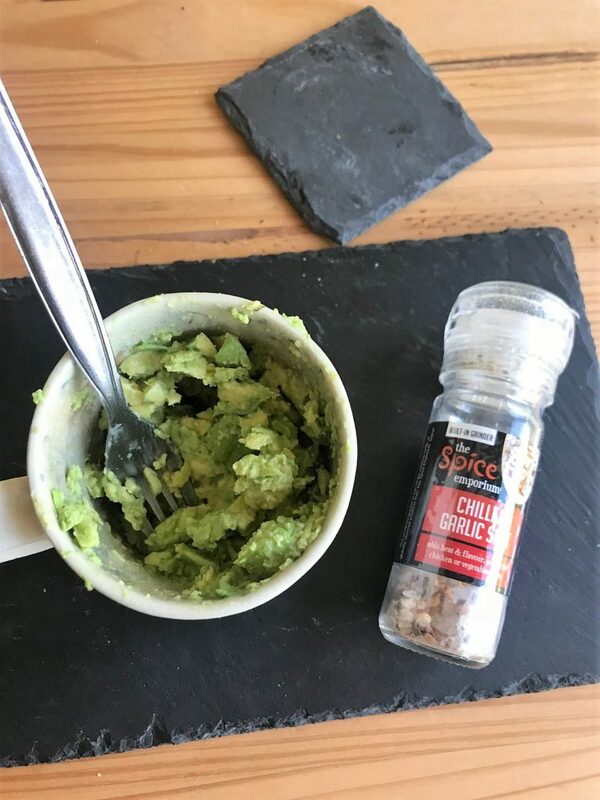 So sweet and full of sharp chilli, that it worked incredible well with the rich, creamy avocado. 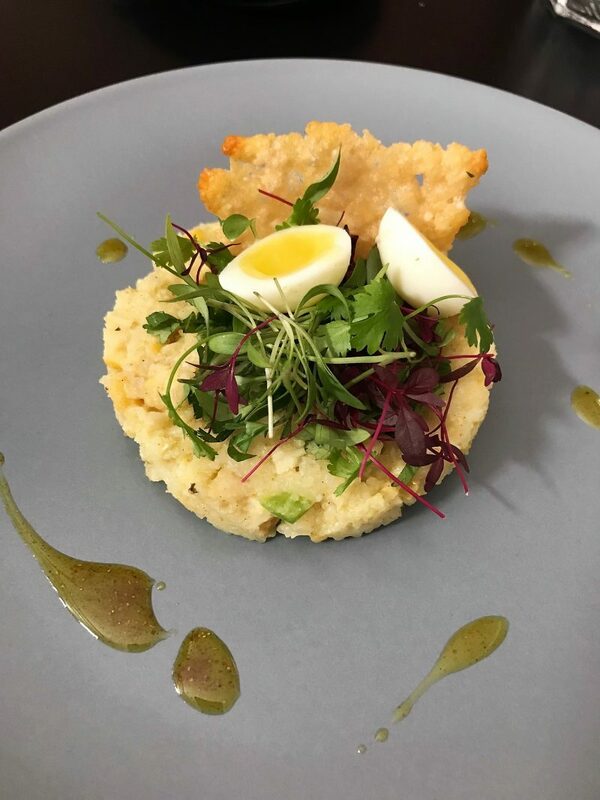 And last but not least, possibly the most unique of all and absolutely delicious was the Smoked Haddock Kedgeree. 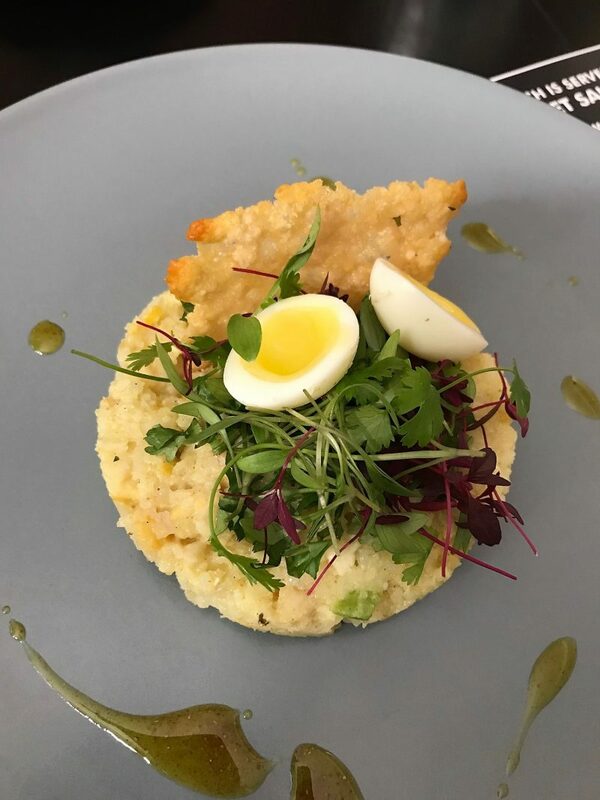 This involved the Saucy Smoked Haddock with Cheddar and Chive Sauce packed into what felt similar to a rosti, or a hash brown, topped with eggs and rocket. I love Smoked Haddock – it’s possibly my favourite fish – and this was indeed a unique twist, blending it in to make a more filling meal. So, the question was: what creation was I going to make myself at home? 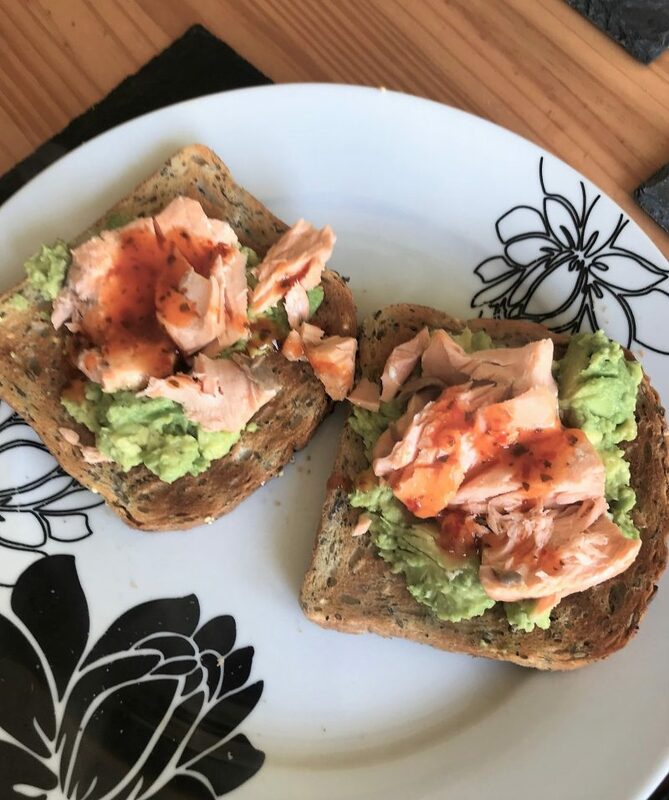 It didn’t take me too long to decide, as I couldn’t get the Saucy Salmon with Lime, Chilli and Ginger sauce out of my head! 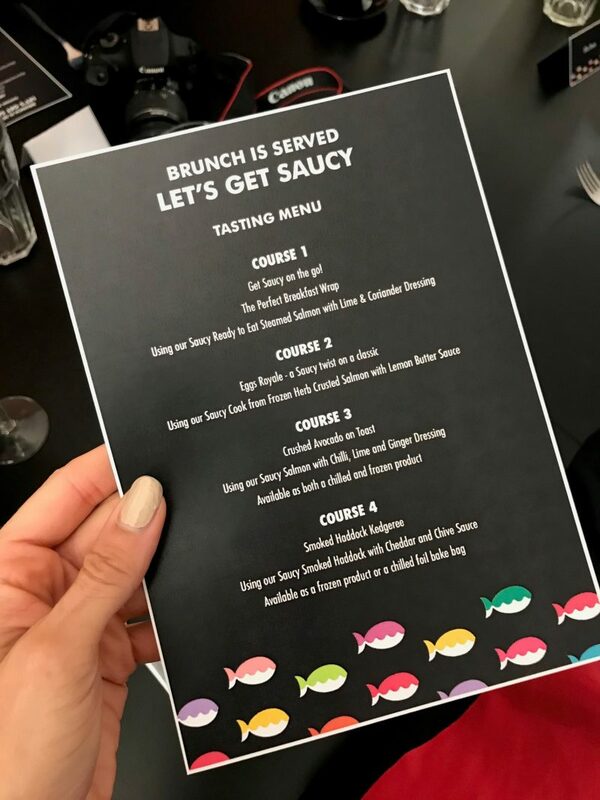 So here it is, my recipe for creating a delicious brunch inspired from the Saucy Chef’s at Saucy Fish Co! Meanwhile, crush up 2 medium avocados. Keep crushing, but feel free to leave some chunks in there too! Also, boil a pan of water, and pop in the sauce sachet that comes with the salmon. It only takes around 4 minutes to heat up. 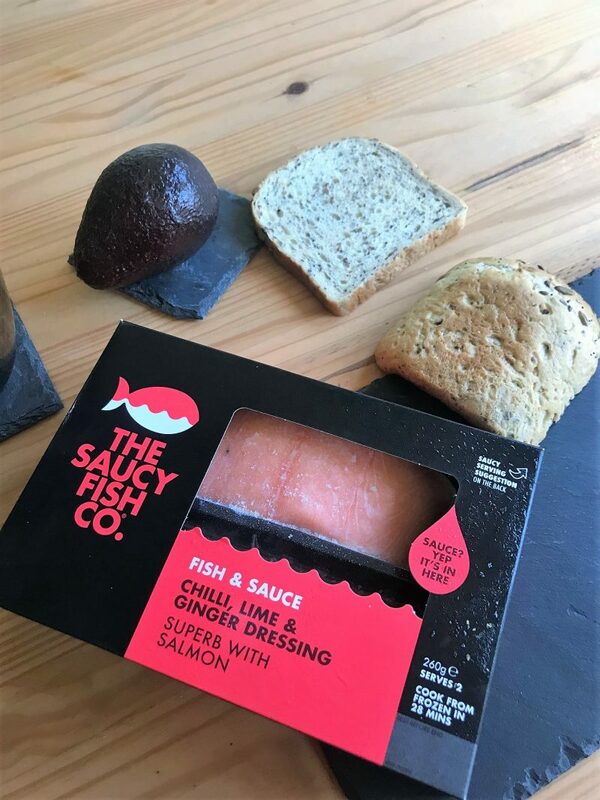 In case you wanted to know where you can browse more recipes, and also where to shop this extensive range of these tasty and unique fish and sauce combinations, you can head to The Saucy Fish Co website. 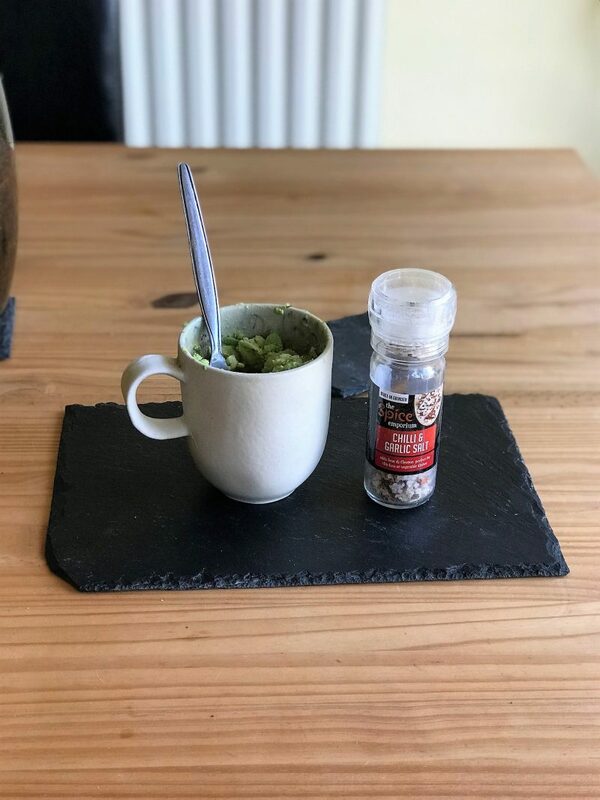 You can find their ranges at so many food retailers, including Sainsburys, Tesco and Ocado, and the full list can be found here.